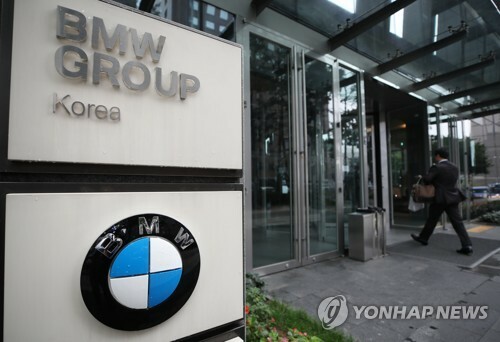 SEOUL, Oct. 23 (Yonhap) — BMW Group Korea will voluntarily recall nearly 66,000 BMW and MINI vehicles to repair faulty parts, the transport ministry said Tuesday. The German carmaker’s recall plan will start Nov. 26, with a total of 65,763 vehicles encompassing 52 different models to be checked by mechanics, the Ministry of Land, Infrastructure and Transport said in a statement. The 52 models, including 7,222 118d compact cars and 23,559 MINI Cooper Ds, have been found to have faulty exhaust gas recirculation (EGR) coolers and pipes which BMW has acknowledged as the “root cause” of dozens of engine fires in the 520d sedan this year.